We were getting ready to go out. The girls are rocking their fros on fourth. A very Polka dotty trio and thought this fit the IFB project. 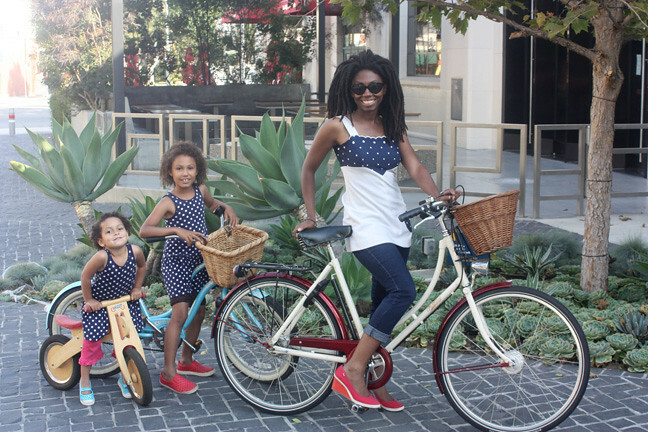 For more bikey style you can check out my other blog L.A. 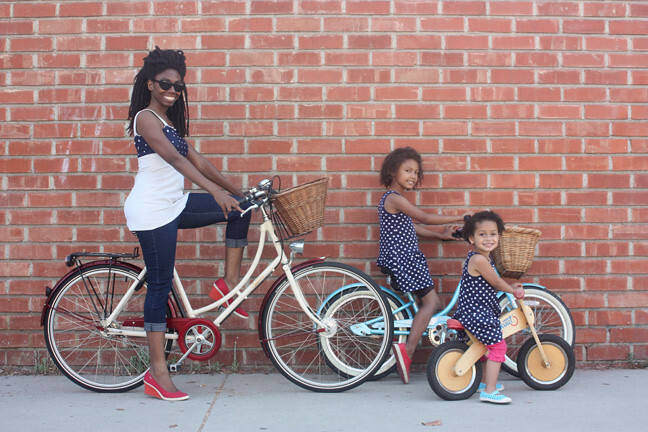 Cycle Chic. Follow Cosmo's board Cosmo Style on Pinterest.